336 Pages in Full Color. It's a BIG book! Buy your autographed copy! The book covers Ontario and the U.S. states that border the Great Lakes (New York, Pennsylvania, Ohio, Michigan, Indiana, Illinois, Wisconsin and Minnesota). It includes chapters on the Impact of Wealth, determining Good Better and Best, Fish Decoys, Folk Sculpture and Patents. Multiple Covers have never been done in the decoy field until now! *includes shipping within continental USA. Thank you for your interest in the Book: Great Lakes Decoy Interpretations! We contact you at our earliest convenience. A Unique Oral History of Collecting! One of the best parts of the decoy community is the memories cultivated. Bonfire of Swans is a collection of heartfelt stories told by various collectors and carvers. Many are humorous and all are touching, this collection of a hundred and one stories is sure to hold a special place on your shelf, and in your heart. Edited by Gene and Linda Kangas, and Donald M. Kirson. BONFIRE OF SWANS is a fascinating book filled with 101 collecting tales you are sure to enjoy. 75 collector/authors, that you probably know, shared their collective stories celebrating special characters and memorable situations. Thank you for your interest in the Book: Bonfire of Swans! DECOYS investigates new ideas and helps answer old questions through related areas of anthropology, Canadian and American history, art history, antiques, forgeries in the arts, scientific analysis of art works, conservatory practices, and many first-hand reports found in early journals. There is a chapter on NATIVE AMERICAN waterfowl hunting dating back 12,000 years; a HISTORY OF 19th CENTURY decoys; FAKERY in decoys (what constitutes fakery and a discussion of ETHICS); the many faces of VALUE; four museum conservators talk about CARE and MAINTENANCE; and FISH lures, spearing decoys and trophy fish. 600 photographs in color and black and white illustrate this GORGEOUS BOOK. Rare book to locate. Check for Availability! Thank you for your interest in the Book: Decoys! The most complete survey of North American waterfowl decoys ever published! It was designed to teach readers about similarities and differences of regional decoy carving styles coast to coast throughout the United States and Canada. The focus is on working duck and goose decoys ranging from the common to the extremely rare chosen from over seventy private and public collections. Hundreds of quality black and white and color photographs illustrate this 334 page overview. This book is considered THE BEST survey book written. Thank you for your interest in the Book: Decoys - A North American Survey! This "how to find and collect" book includes over 230 color and black and white photographs provided by fifty public and private collections. It is an overview and history of decoy collecting; developing a collecting philosophy; insider collecting tips; how to understand pricing; how to buy at auction; clues to spotting reproductions and fakes; care, display and storage hints; appendices filled with lists of restorers, book dealers, books and magazines to buy, auction houses, clubs and shows, and museums throughout the continent. ****One chapter highlights award winning contemporary decorative carvers and their birds. Thank you for your interest in the Book: Collector's Guide to Decoys! SACRED STONES is a visually diverse survey focusing on exciting and unusual sculptural stone monuments created throughout time as intriguing memorial expressions. All are stone sculptures, unique, expressive and timeless. The book begins with monumental prehistoric and primitive public works to the present, including early cave paintings, petroglyphs and geoglyphs. Professional and amateur photographers from nearly fifty countries donated digital black and white photographs to this project. 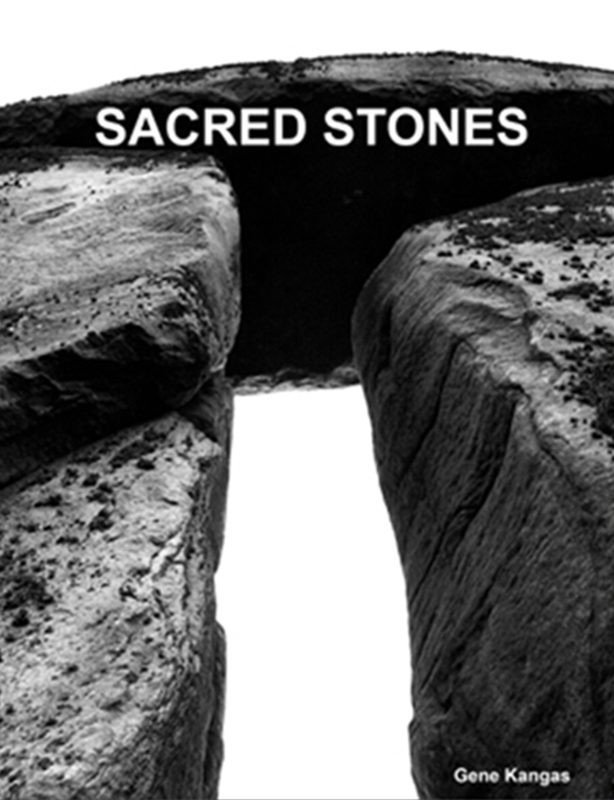 SACRED STONES abounds with hundreds of black and white photographs on 208 pages from amazing sites worldwide. Thank you for your interest in the the Book: Sacred Stones! 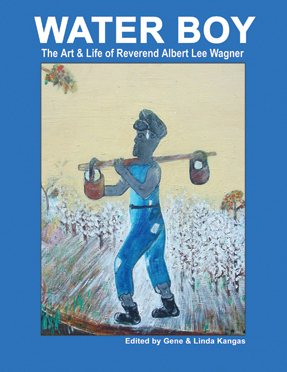 This exciting book uniquely chronicles the life and special artwork of Albert Wagner, from his childhood in the cotton fields of Arkansas to his later years in Cleveland, Ohio. He was an ordained minister, a father of twenty children, husband, former businessman and folk artist. Those combined experiences intertwined into the rich fabric of his life. They provided the foundation for his unusual visual expressions. Many of Albert's most compelling paintings are accompanied by an explanation of those particular pieces in Albert's own words. WATER BOY has 200 of Wagner's most intriguing paintings in this 176 page book. Thank you for your interest in the Book: Water Boy! What is a takaan? This book answers that question. It is the definitive history to date of hand-sculpted wooden molds created solely for the making of papier mache objects. Read Introduction. This catalog accompanies an extensive and enticing exhibition of molds/takaans presented at the Cleveland Museum of Natural History, Cleveland, Ohio [December 16, 2001-March 16, 2002]. For nearly 100 years, takaan folk sculptures were carved as original patterns for papier mache replicas destined to countries around the world. The images portrayed were far ranging. They included domestic, wild and exotic mammals, fish and fowl; celestial bodies including suns, moons, stars and angels; human figures from common people to famous personages to historic icons such as the Statue of Liberty. There were storybook characters, architectural pieces; and, of course, Christmas, Halloween, Easter and other holiday depictions. Thank you for your interest in the Book: Art of the Takaan! For the first time ever, PATHWAYS offered wood turning practitioners an exhibition opportunity with distinct categories that acknowledged the variety of attitudes and avenues within their field of expertise. Sculpture was recognized as having distinct and separate intentions from other work which addressed utility, scale, material, or the major vessel types. The integrity and varied experiences of the jurors were brought to bear in the selection of the best work submitted that highlighted the innovative and inventive. The show, like the group of jurors, was an exciting, high-quality mix. PATHWAYS, the exhibition, was hosted in 1998 at Cleveland State University's Art Gallery in Cleveland, Ohio. Forty-six well-known artists from countries around the world were chosen. The exhibition included nineteenth century Peaseware (treen) as an historical component to the contemporary wood turnings; and the catalog contains an article on the Peaseware legacy. The 64 page catalog has a professionally photographed color cover and four-page color insert. The artworks are further extensively illustrated in black and white. Thank you for your interest in the Book: Pathways! The focus of MILLENNIUM IMPRESSIONS, the exhibition, was nineteenth and twentieth century self-taught works of art that reflected a constantly evolving but shared human experience. The assembled global artworks represented diverse cultures, countries, and historical periods; and they reinforced universal similarities. The show was presented at the Beachwood Center for the Arts, Beachwood, Ohio early in the year 2000. The professionally designed and photographed catalog has color cover and extensive use of high quality color illustrations to feature such artists as William Matthew Prior, Erastus Salisbury Field, Elijah Pierce. Moise Potvin, William Perry, Sister Gertrude Morgan, Eddie Arning, Edgar Tolson, Silvio Zoratti, Reverend Albert Wagner, Malcah Zeldis, Inez Nathaniel Walker, Reverend Howard Finster, and many others plus exceptional anonymous works. The 40 page catalog includes a lengthy essay by the Kangas' discussing the past, present, and future of folk art. Thank you for your interest in the Book: Millennium Impressions of Human Experience! This fully illustrated catalog accompanied an exhibition of the same name at Cleveland State University Art Gallery, Cleveland, Ohio in 1992. Every object in the show appears in the 88-page book with 90 photographs with various authors contributing text. The catalog includes major two and three-dimensional folk arts from public and private collections from 2500 years ago to the present. Some of the folk artists represented include: Henry Gudgell, John Cromwell, Wilhelm Schimmel, Gustav Dentzel, John Russell, P. D. Malloch, Hans Janner, Moise Potvin, Harald Thengs, Tommy Brayshaw, John Perates, William Edmondson, Orel LeBoeuf, William Perry, Phillippe Sirois, Silvio Zoratti, Felipe Archuleta, and many others plus exceptional anonymous works. Thank you for your interest in the Book: New World Folk Art! This exhibit was a featured aspect of the 1984 Ohio Decoy Collectors and Carvers Annual Spring Convention. The book is 8.5"h x 5.5"w and 28 pages long. The black and white illustrations highlight Black Duck decoys from various private collections carved by such folk artists as William Chrysler, Maurice Decker, Sam Denny, Charles Hart, Jess Heisler, Ben Holmes, Ira Hudson, Albert Lang, John McLoughlin, Phineas Reeves, Ben Schmidt, The Ward Brothers, John Wells, Chauncy Wheeler, Gus Wilson plus factory examples and decoys by other known and unknown makers. 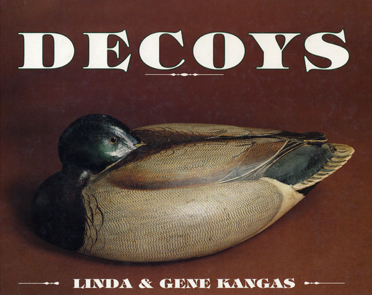 Thank you for your interest in the Book: Ohio Decoy Collectors & Carvers Association - 1984 Exhibition Catalogue! We will contact you are our earliest convenience.